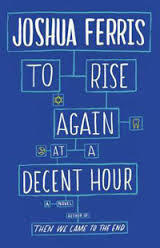 To Rise Again at a Decent Hour by Joshua Ferris, Little, Brown and Company, 2014, 337 pp. I kept hearing Joshua Ferris on the radio on NPR in recent weeks, but always interrupted—I’d catch an appreciative glimpse from the host or quip from the author, along with the book title. When the title appeared on the “new books” shelf in my local library, it seemed a small miracle. In our small town, I often have to wait a long time for the newest NPR-promoted titles. I grabbed it up, excited to be the first one to take it home to read. And then I started reading it, and discovered I really didn’t like it. Meeting the narrator, Paul O’Rourke, was like going on a blind date with a guy you met online, only to discover that instead of sensitive and interesting, he’s just a self-centered nerd consumed with his own loneliness, lust, and baseball. He is unable to connect, especially with women, and lacks empathy, which made it impossible for me to empathize with him. At the end of my first date with the book, which lasted for 50 pages or so, I didn’t really want to see Paul O’Rourke ever again. Yet all that NPR press made me keep going. I realized it was outside my typical style, so I persisted in the hopes that I would be won over. In the end, I can’t say that I liked the book or enjoyed reading it, but I am glad I did bother to finish it. It had its moments, and by the end I found some sympathy for Paul O’Rourke, likely because by the end of the book he became a more sympathetic character. Paul O’Rourke is a dentist in New York City with an elite clientele, an obsession with the Red Sox, and a terribly needy and disastrous history with social and romantic relationships. His life carries on from day to day, back and forth between his dental practice and his nightly Red Sox rituals, and the narrative we hear of this life is petulant and awkward. The plot of the book begins when someone anonymously creates a website for his dental practice, followed by a strident social media presence. The anonymous “other Paul” begins a prolific public campaign of speech for him, including allusions to a strange new/ancient religious and ethnic sect. At first, O’Rourke is obsessed and angry, but he eventually becomes intrigued and even enamored of the other Paul’s ideas. The experience sends him on a quest for a deeper engagement in life, breaking him free from his strangled approach to relationships and opening him to new possibilities. It is a hopeful story. I think it was the passages about the experience of being a Red Sox fan that kept me going and made me want to read more. The author captures my own relationship with the Red Sox, before and after 2004. Oh, how refreshing to read someone who gets me about being a Red Sox fan. So, the book had its moments. Excellent commentary on Red Sox fandom, interesting reflections on postmodern religion and the role of doubt, along with the problems of identity in our social media constructed culture. I may not have enjoyed it, but I finished it—and didn’t regret the time spent. 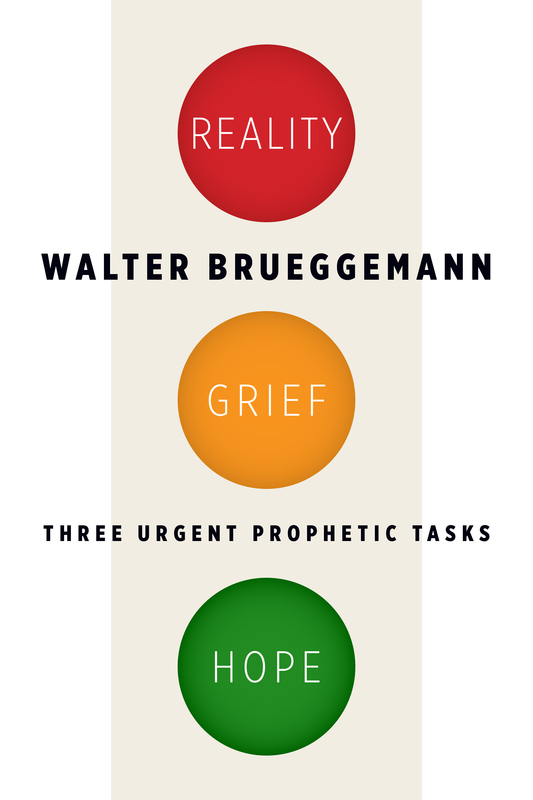 Reality, Grief, Hope: Three Urgent Prophetic Tasks by Walter Brueggemann, William B. Eerdmans Publishing Company, 2014, 165 pp. I adore Walter Brueggemann’s work, and I will confess to anyone who cares to listen that I think every sermon I have ever preached on a text from the Hebrew Bible has been influenced by his scholarship and pastoral insights. This is especially true of any sermons on prophetic texts, as his original outline in The Prophetic Imagination unlocked those obscure biblical books, with their poetry and lamentation, in ways that finally made them come alive for me. I heard Brueggemann lecture on the content of Reality, Grief, Hope before reading the book, and recognized immediately the themes he had previously developed in The Prophetic Imagination, Hopeful Imagination and other books. His perspective on the prophets is that their first word calls forth the injustice, sin and loss in the community, prompting grief. Only after the people have experienced lament can they find their way to hope, the prophet’s second word. Reality, Grief, Hope adds a new dimension to the prophet’s task, a new first word before grief: reality. Brueggemann has observed, both in the Bible and in contemporary culture, that the prophet must first pierce through the many layers of denial. Before the grief can flow, the people must acknowledge that something has been lost that cannot be regained. In both ancient and modern contexts, the royal ideology of chosenness (the conviction that God will protect the Jerusalem establishment and its leaders) persists long after facts on the ground demonstrate that the temple and its practices will not be protected. The ideology blinds the people from seeing any facts or reality beyond itself, and therefore traps them within a false and failing way of seeing the world, denying the change and the injustice around them. Brueggemann describes this phenomenon in ancient Israel, then he describes it in the 21st century of the United States. The roots of the problem today lie in American exceptionalism, and our understanding of freedom as freedom to disregard the needs of our neighbors. Grief is the path to piercing this ideology and its systematic denial of its own failure. Brueggemann offers an extensive catalog of biblical prophets who address this need, from Jeremiah to the Psalmist to Lamentations. He then summons preachers and prophets today to engage in the same work, naming and claiming the loss of American superiority, privilege and moral certainty. When that sadness and loss remains unexpressed and voiceless, it gives rise to violence and precludes us from imagining new possibilities that might spring forth by the grace of God. The grief is necessary to move into reality and into hope. Grief can easily give way to despair. The task of the prophet, after piercing denial with reality and unleashing the grief, is to offer hope, so that the people do not fall into despair. That hope comes always from outside the ideology, outside the system and empire. Hope comes from God. Brueggemann concludes by insisting that the best possibility for prophetic work today lies in local congregations, where people are known and loved against the forces of empire. The church, Brueggemann claims, by living its ordinary life of caring for souls and holding out the good news, is the key to helping people and society move into hope. Reality, Grief, Hope takes Brueggemann’s existing work to a new level, and lays a new claim upon us as pastors and church leaders to engage the prophetic work of piercing reality, opening grief and proclaiming hope in God. His insistence will not release us, and the scriptures he summons will not let us doubt. As always, Walter Brueggemann brings the Bible alive and with its vitality comes a summons to follow. 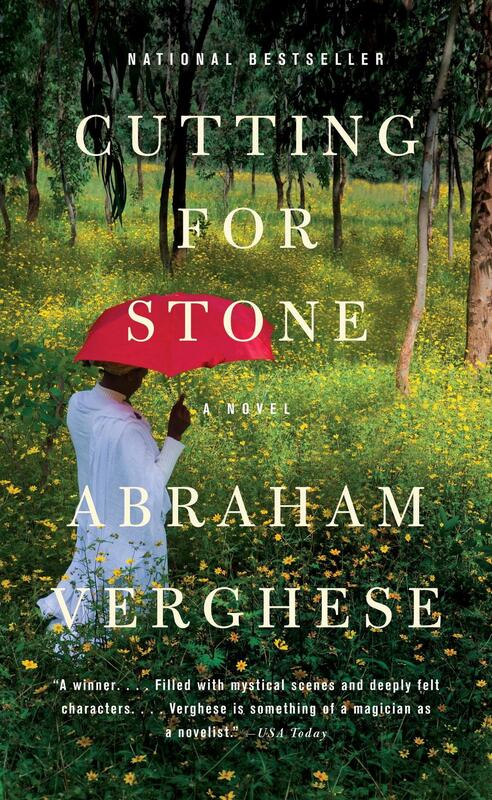 Cutting for Stone by Abraham Verghese, Random House Vintage Books, 2009, 669 pp. This novel is epic–in the traditional sense of the word rather than the modern slang. It is the story of an entire lifetime–two lives, really–with a cast of characters that develop and evolve across four continents and the entire 20th century. Its nearly 700 pages flies by, with every detail coming together into a complete story. The book has everything I love–compelling characters, interesting plot, difficulties (both emotional and embodied) to overcome, and a fascinating setting. I loved it. The narrator and central character is Dr. Marion Stone, along with his twin brother Shiva. The story begins with their sudden, surprising and dangerous birth to a nun, Sister Mary Joseph Praise, at the Missing Hospital in Addis Ababa, Ethiopia. The narrator then traces back the story of their parents, from their birth onward to their meeting and partnership. Their mother was from India, becoming a nun and nurse whose order sent her on an ill-fated mission to Africa. Their father was an English doctor born and raised in India, who was serving at Missing Hospital to escape his own sorrowful story. At their birth, their mother dies and their father disappears. The story unfolds their lives uncovering the mystery of their parents’ stories. Meanwhile, they are surrounded by an adoring family at Missing Hospital. Two other doctors, Hema and Ghosh, serve as their mother and father, joined by two nannies/maids, Rosina and Almaz; the hospital’s odd priest/gatekeeper Gebrew; Missing’s director Matron; and even a sister in Rosina’s daughter Genet, born just a few months after the twins. Together they raise Shiva and Marion, alongside Genet, in the midst of an Ethiopia dealing with coups, poverty and more. Both boys are drawn to medicine, but follow different paths. In their late teens, there is a fracture in the relationship between the twins, and the novel reckons with that brokenness and painful reconciliation. Cutting for Stone is the kind of story I hesitate to share in detail, because each small detail of plot turns back on itself in the story’s resolution and I do not want to give it away. The book requires a commitment, but it is beautiful and wonderful and well worth it. I foresee this being one of my favorite books of the year, with characters and story that are easily forgotten.